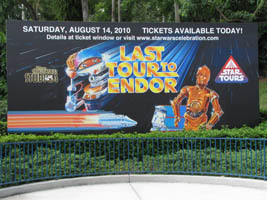 We had a great time at the Last Tour To Endor (below, left) on Saturday night, we were happy we decided to go after going back and forth over it since the event was announced. 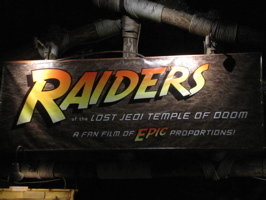 One of the highlights of the evening was the show “Raiders of the Lost Jedi Temple of Doom: A Fan Film of Epic Proportions“, which was a combination of the Star Wars and Indiana Jones franchises. It was billed as a fan film – two fans, one who loves Star Wars and the other Indiana Jones, get together to create a film that combines both!